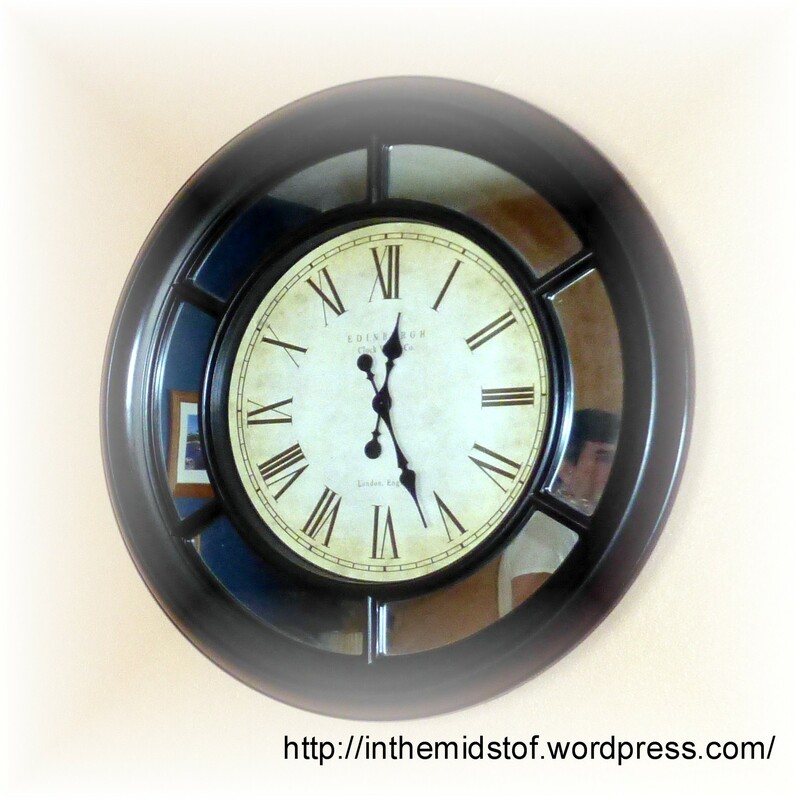 parenting – In the Midst . . . I am a homeschool mom of fifteen years and have helped lead three different homeschool groups. Therefore I have a vested interest in this topic and am happy to offer this book review. It may take a while to find the right organizational setup for your co-op. This is to be expected when working with new situations, unexpected circumstances, and varied personalities. The co-op experience mirrors the homeschool journey; there are ups and downs, trial and error and resulting adjustments. Do not be discouraged; count it as a good and necessary part of the process. I recommend this inexpensive book for anyone considering joining or starting a homeschool co-op. What I am realizing is I periodically have this “today doesn’t count” attitude in other areas. Not all, though. For example, I always choose to brush my teeth and take a shower. (Aren’t you glad?) And in homeschooling, I know every day counts and organize each school year accordingly. I allow for 180 days of schooling and use an accommodating curriculum. That’s not to say we are rigid. This year we started two weeks early so we could take a two-week vacation in September. I planned for it because I know the choices I make today (every day) will affect tomorrow’s outcomes. However I am not as disciplined in all areas of life. Therefore I must pause to consider if I give the most important areas proper attention on a daily basis. Or do I take this “today doesn’t count” attitude more often than I should? The choices I make today, whether deliberate and prayer-filled or impulsive and whimsical, will affect tomorrow and the next day and the next. There is a cumulative effect. The person I am next week, month, and year is a direct result of the minor decisions I make today. And, to further complicate matters, there is a trickledown effect. I, in fact, do not live in a bubble—my attitude, knowledge, and disposition rub off on those around me. The most effective way to teach my children self-discipline is to model it. So which areas require daily cultivation in an intentional manner? I suggest you ask God to show you. For me, the list includes (but is not limited to): Bible reading, prayer, physical well-being, and relationships—with God, my husband, my children, my church family, and friends. In which areas of life do you sometimes take a “today doesn’t count” attitude? Will you prayerfully consider making a change today? Everyone knows how to cut an apple. You quarter it first. Then cut out the core and seeds. Well, that’s what I thought at the time. 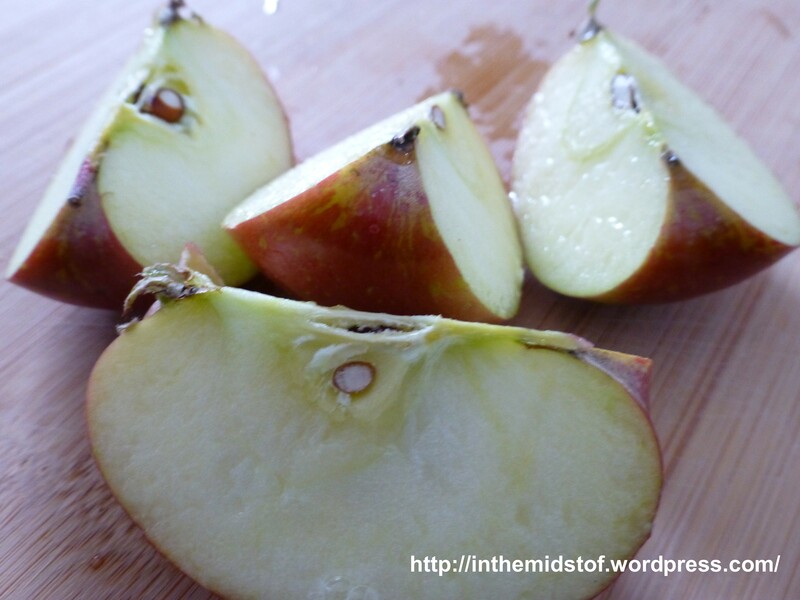 However, since then I’ve observed others (mostly moms) cutting apples and found out . . . I was wrong! 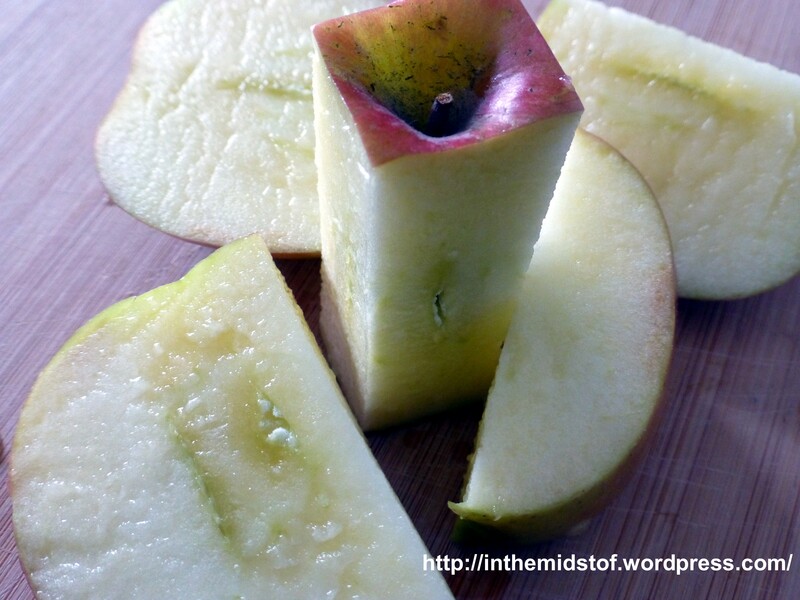 You can cut an apple several ways! 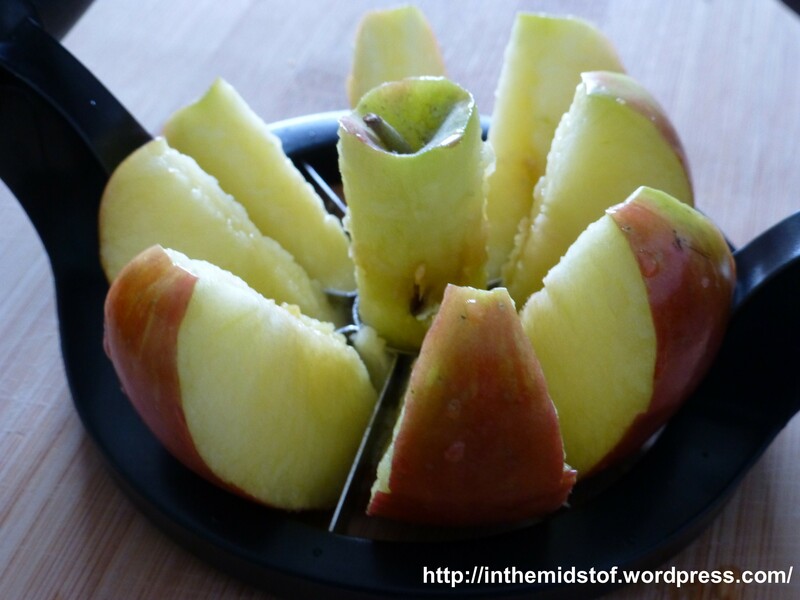 You can use an apple corer slicer to cut an apple. 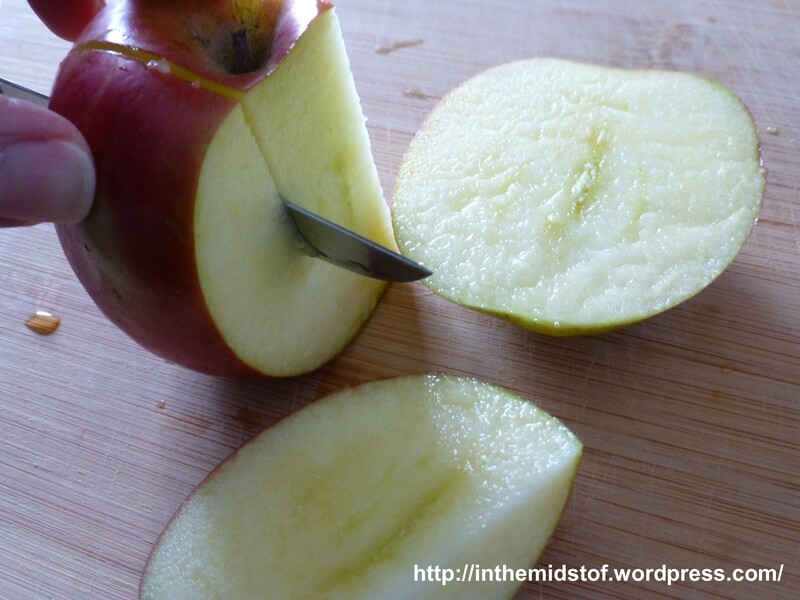 You can cut the apple four times around the core. I even know people who cut and eat the apple one bite at a time. My point? Sometimes “my way” isn’t the only way, nor is it always the best way. There is a general thought “out there” that disagreements are bad and should be avoided. Therefore, if you and I are discussing child rearing and disagree on the method, one of us must be wrong. This perception is inaccurate. Just like there is more than one way to cut an apple, there is more than one way to rear children. More often than not, in our discussions and decision-making, we are not choosing between a right option and a wrong one (like should we commit adultery or not). Instead we are trying to find the best choice or option for the situation. For example, Kenneth learns best by listening, so I read to him a lot; whereas Melinda learns best by seeing, so she reads the material herself. In general, neither method is better. However, there is a “better” method depending on the child. What I learned from my apple-cutting incident is that I should not judge another person based on his/her apple-cutting methods. Nor should I assume there is only one apple-cutting way. I should listen to others and observe their apple-cutting abilities before I jump in with my own superior tone on how to cut an apple. (I may learn something!) Above all else, I should value the relationship with the other person over having my own way—even if he/she is cutting the apple wrong. Because, really, in the end, does it matter how the apple is cut?